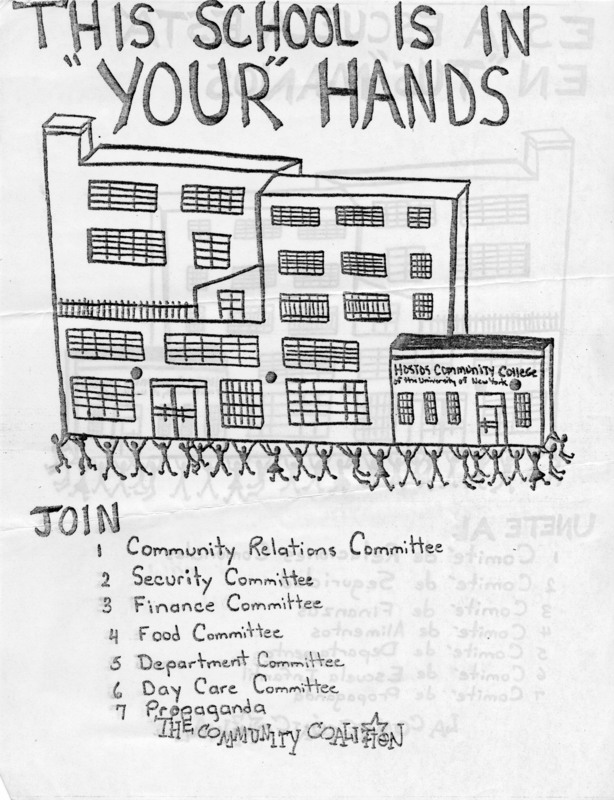 This flier promotes the occupation of the 500 Grand Concourse building in the Spring of 1978. To demand needed funding to complete renovations to the building, students and faculty occupied the property to run classes and activities to pressure Mayor Koch and other officials to enable bond sales and renovations to proceed. 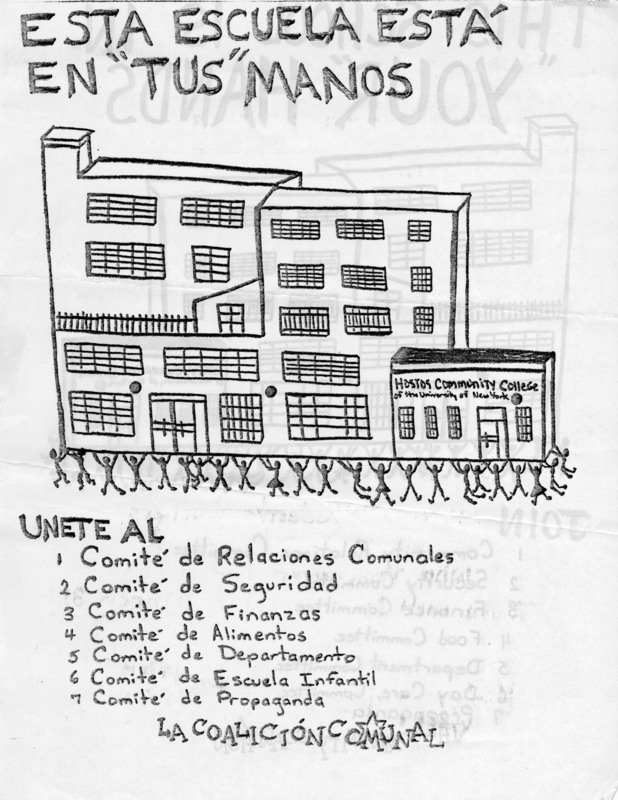 Cite This document | The Community Coalition, “This School is in "Your" Hands / Esta Escuela Está en "Tus" Manos,” CUNY Digital History Archive, accessed April 19, 2019, http://cdha.cuny.edu/items/show/4722.